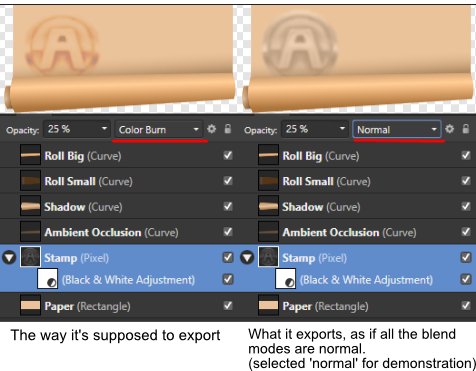 In Affinity Designer, when I export my document as a png with "selection without background", layer blending modes are totally ignored. Export turns out fine if I export the whole document. Is this a bug? Export turns out fine if I export the whole document. Is this a bug? That's good to know, thank you very much!